In the initial phase villages, Piyala and Dayalpur (Haryana), Chandankiyari East and Shivbabudih (Jharkhand) and Dhanauri Kalan and Sultanpur (Uttar Pradesh) have been chosen for the pilot project. Patna Saheb: Will Shatrughan’s star power carry over to new party as he takes on Ravi Shankar Prasad? The Centre will digitise 700 villages in the country under its DigiGaon programme by the year-end, Minister of Electronics and Information Technology Ravi Shankar Prasad said on Sunday while showcasing the sixth such model village, where various services, including those from the Central and state governments, will be made available. Under the project, first announced in the Union Budget 2017-18, the villages have been equipped with solar lighting facility in their community centre, LED assembly unit, sanitary napkin unit and wi-fi choupal (rural wi-fi infrastructure and a slew of suitable applications). These villages also have the regular services offered by the common service centres (CSCs) such as banking, health, education, financial services, and a host of other services. “CSCs are working in 1.83 lakh gram panchayats and it will reach 2.5 lakh gram panchayats by end of the year. These villagers don’t have to go to a town to get services like banking or jeevan beema,” Prasad said. Through this project, the Centre is not only providing electronic services, but also digital literacy and entrepreneurship to the villagers by assisting them in getting involved with cottage industries such as manufacturing of candles, incense sticks, etc. 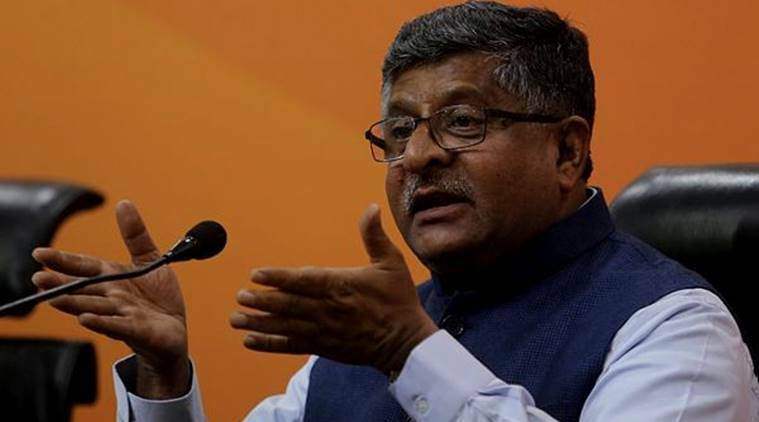 Prasad also said that the BharatNet project, under which the government is planning to bring internet connectivity via optic fibre to all 2.5 lakh gram panchayats, will serve as the backbone of the digital village initiative.